All hail White Burgundy! Racy-fresh Chardonnay from Burgundy’s southernmost appellation is SO RARE to see here at Last Bottle (right? This just never comes around NEARLY enough…) that we can scarcely grok it! 90 POINTS, killer 2016 vintage, uber-sweet price and a massive crowd-pleaser, we PROMISE. If you don’t love this, why, we’ll come to your house and clean the gutters, do laundry and give your cat a bath (see, we’re really serious). At well under $20, are you crazy? Are we crazy? Well, it is Friday. How we found this is a miracle, but we did get just BARELY enough for all the Chardonnay-hungry across this country. SO --- STONE fruits! Citrus (key lime!)! A little white peach, perhaps, but most importantly, always, most imperative with white Burgundy…ACID. Brisk, racy, bracing, take your pick, but revel in the cheek-tingling goodness of it -- at an absurd price. Just a touch of barrel notes, a dash of vanilla, but it’s all about clean and pure fruit/citrus. So good! Wakes us right up! Of course, there is not a lot -- there NEVER is! Stock up --- and have a fine weekend!! On an estate at Davayé, just west of the city of Mâcon, Robert Martin and his son Damien craft some excellent white wines, all from domaine grown grapes. Like the rising prow of some ancient fossilised ship, the Roche de Soultré dominates the surrounding landscape of the Mâconnais. This limestone escarpment stands tall over the 10 hectare vineyard where Robert Martin and his son, Damien, work their land lutte-raisonnée. 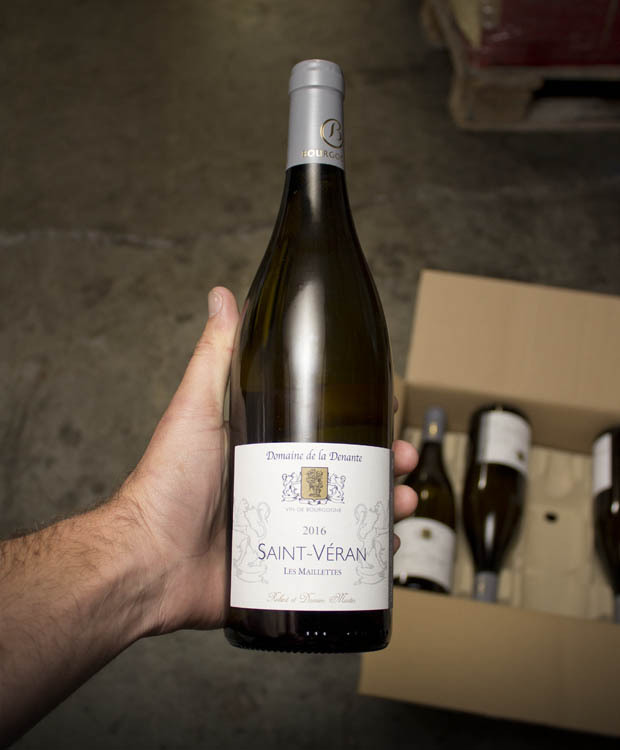 Damien's star, like the Roche, is rising in the Mâconnais as he creates elegant, restrained, mineral driven Mâcon-Davayé and rich, full, but elegant St Véran wines from the land. These wines are deliciously drinkable and incredible value.